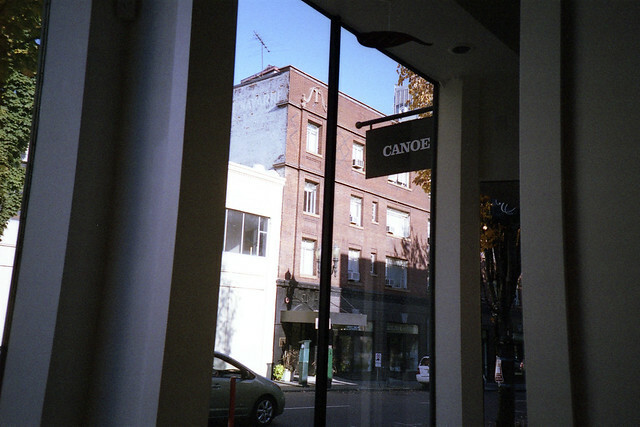 We only took film cameras to Portland, the Canon A-1 and the LC-A+. 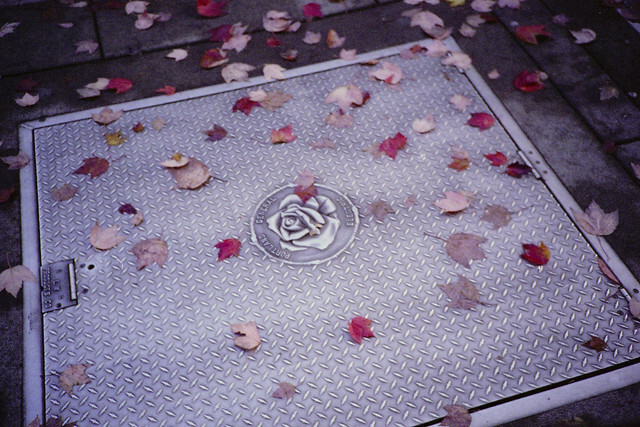 This is the last of them, taken with the LC-A+; they're quite different from the Canon A-1 photos I have posted so far. 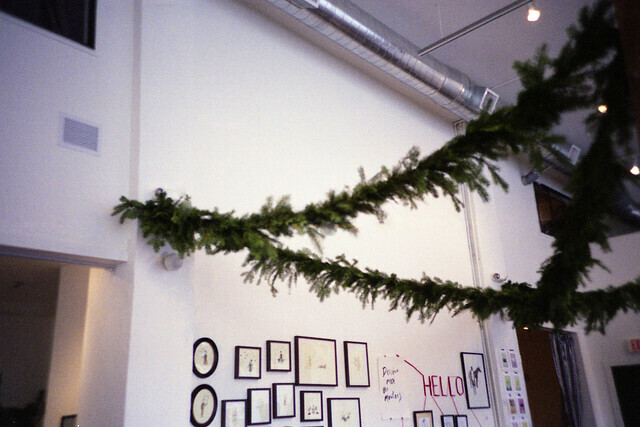 The LC-A+ is not an inexpensive camera (for something considered a "toy camera") but I love what it does. 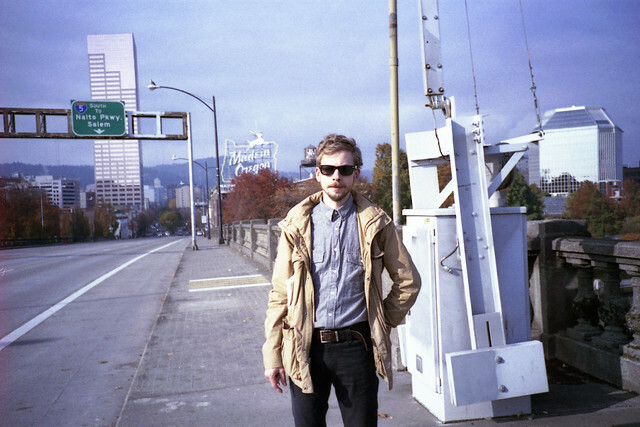 See also Tommy's Lo-Fi Guide to Portland, which was a useful -- and beautiful -- resource for us. I am such a sucker for painted ads. More scenes from The Ace, including this mural by Evan B. Harris. We visited after reading about it in Tommy's post. Lots of Filson, Pendleton, Minnetonka, plus western gear. 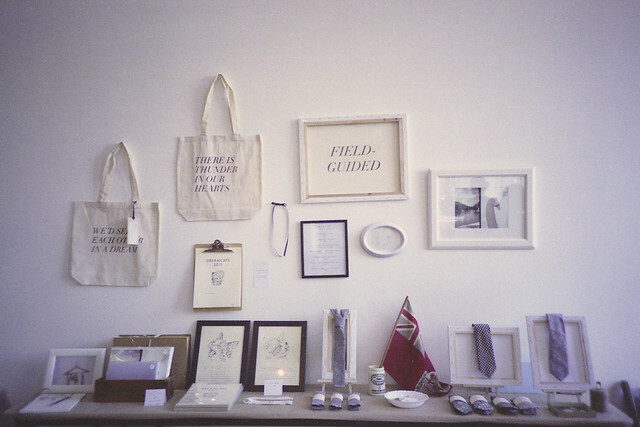 A nice design shop in downtown Portland. They had lots of amazing things but all we bought was a tiny sunprint kit. We really loved a set of glasses from Mexico that they had for sale, which were the same glasses that were used in the rooms at The Ace. 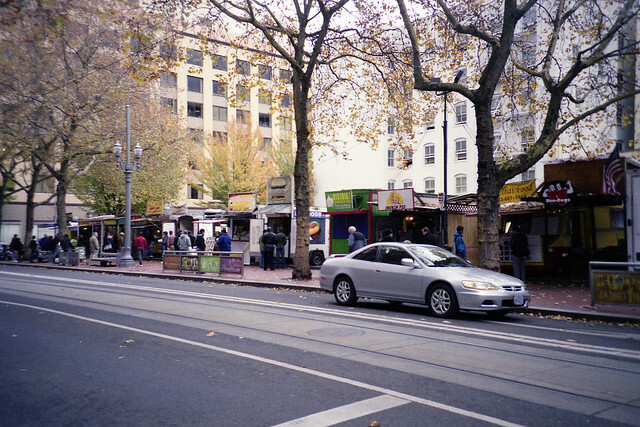 Food cart frenzy. That's an exaggeration. When we bumped into Alice at Golden Rule, she suggested we walk over to Una (the first picture in this post, at the very top, was taken at Una as well). It's a lovely shop filled with unique pieces by independent designers, including the most remarkably soft cashmere I have ever seen. Volkswaffle -- where I got my maple syrup chicken waffle. 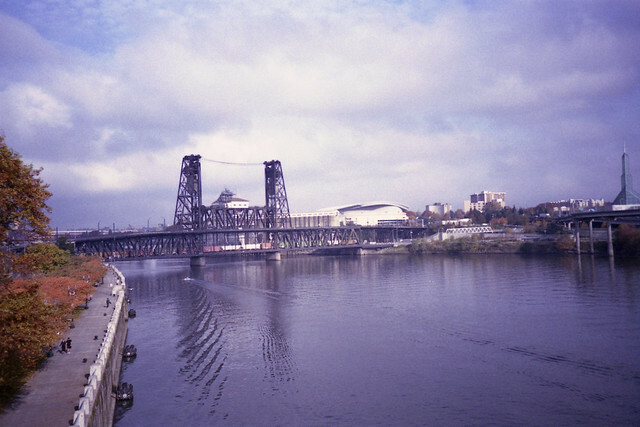 Walking across the Burnside bridge. Oh, so good. We went here a couple of times, most notably the Saturday after Little Winter. We were too tired to go very far, so it was convenient that this restaurant is attached to The Ace. We had a multi-course dinner with Alice and her friends Christie and Anne (who I realized just the other day are the girls behind Summer Goals, that sweet lil' Tumblr!). We had fideos with sausage and squid ink, some Matilda, I had steak, Geoff had trout with root vegetables, plus butterscotch panna cotta for dessert. I also had a nasturtium, and it was delicious. Best meal ever. So much food. I could go for that exact meal again (I'm one of those people who will eat/try anything but always orders the same thing in a restaurant). I felt like a stalker when I took this picture but I don't regret it because it's one of my favourites! We walked past Alice who was so involved in her book that she didn't notice us. I think it turned out beautifully. I didn't take too many pictures of people so I'm especially glad that one of the few I got was of her! 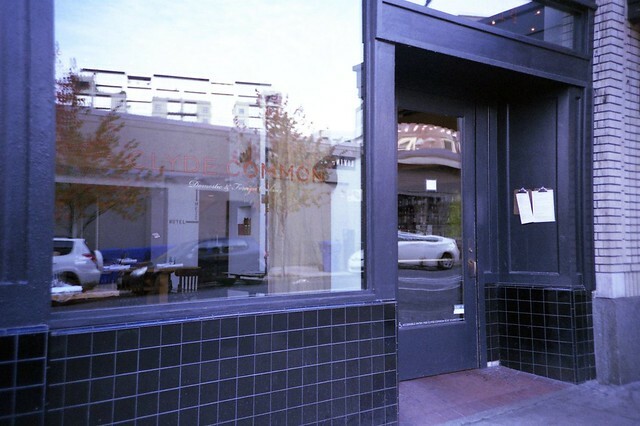 Oh how I miss those pots of self-serve French press coffee at Stumptown. Every morning I would amble down after waking up for two cups of that coffee and two muffins, and it was such a nice way to start the day. Another view of The Cleaners -- love those windows. This is what our table looked like. That canvas never did hang straight! It looks as though we didn't have much, but most of our items were stored under the table in white boxes. 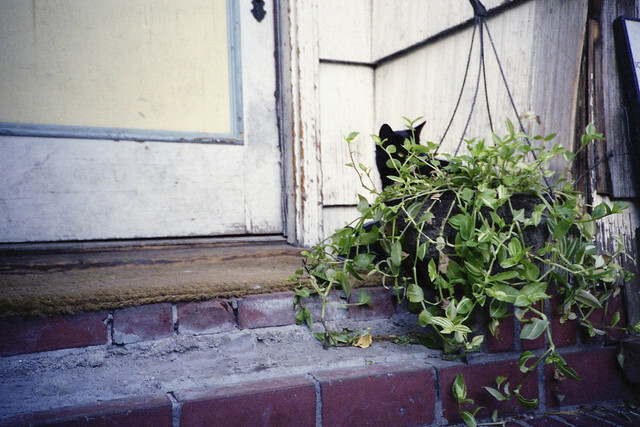 Portland kitty. I was happy to see a lot of cats while walking around more residential neighbourhoods. The funny thing is that most of the cats I saw were black, or black and white. 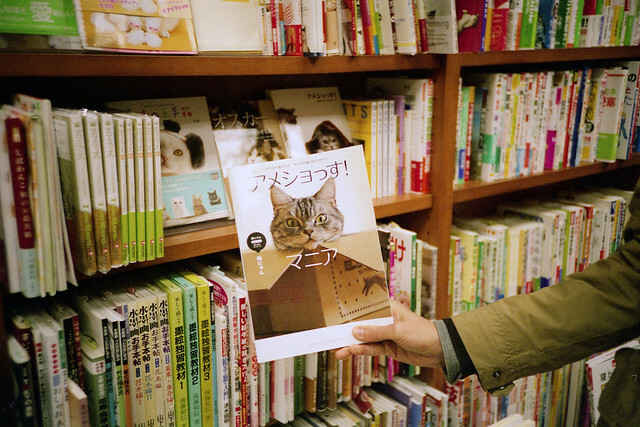 So many cat books at Kinokuniya. Megan & Anja took us for lunch here. I can't remember what we had because we chatted through lunch but every last bite, which was served family style, was delicious. I love how Portland has so many restaurants with open kitchens like this. It makes even a large, busy kitchen feel more homey. -I am completely obsessed with wearing glasses now. Have you seen the Warby Parker for Steven Alan styles? I recently ordered a pair of vintage frames after a post by Kate about MOD Vintage on Etsy and I think I'm going to have them fitted with prescription lenses. I hope it works out. chelsea: Thanks, Chelsea. I'm glad you enjoyed them. As you can tell we didn't see too much of Portland -- I'll just have to come back! anja louise: Thanks, buddy! Geoff had some research to do on the couch for a bit so I watched someone spray all the plants... so fascinating. Kennedy: Oh lady, thank you! I'm sure you have plenty of talent, pssshhtt. Andrea: Thank you! It's a magical place, isn't it? Kim Hart: Funny that you mentioned the card file since I included a picture of it here! Little Winter was so dreamy, yes! Katie: I can honestly say that I loved it, and imagine that others would love it too! Amazing. Sarah: That's so funny about Volkswaffle! I'm glad you got to try it, too. Oh man, so delicious. CARLY WAITO: Oh I hope you can, you would love it so much! I know it! amy w - over and under: I hope you can! m.bardeaux: Aw, that's so nice! christie: I totally will, girl! Jane Flanagan: Thanks, Jane! I hope you can make it there soon. Elena: Yes, the freshness! So amazing. I hope no one takes it for granted! Marinka: I wouldn't have thought of it until I saw it on the menu! The smokiness of the barbequed chicken & the sweetness went so well together. Golden Rule: I'm so sorry I spelled your name wrong, Wynde! I've fixed it. Thanks so much for being sweet & for all your suggestions -- Paper Source was amazing! I'm going to keep my eye out for future videos, they are amazing! Dianne: I didn't believe it until I saw it, I admit it! oaklandetsuko: Oh, you're welcome! I hope you get to use it. jena: Aw, thanks, Jena! It was so nice to met you! may: You're welcome! I hope everything is going well with the shipping! Bonnie: Thank you so much, I'm glad you enjoyed the pictures! I hope I did the city & what I saw justice. Tasha: Oh yeah, I remember! Lewis & Clark! Oh, I know -- seeing the nature IN the city made me wish we had a car to explore outside of it, and I'm not even a nature girl. Jen: It was so nice to meet you too, even though I was all over the place and didn't get to talk to you too much. Five nights was not enough! Can't wait to go back! Portland does those painted ads so well! oh, we need a waffle truck in boston! yum. Painting a Leonard Cohen song onto a wall is amazing. I'm a shamefaced Volkswagen geek, and the Volkswaffle made me laugh a whole lot - these pictures are so fantastic, the tone of them is beautiful. 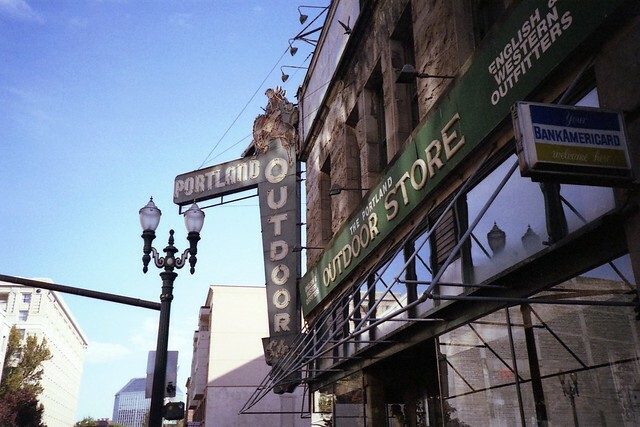 I really want to see Portland now, which is funny really, as I'd actually never even heard of it before. oh jeez, where to start? 1. The Fish Grotto is SO yummy 2. That photo of Alice is amazing, her hair kills me with jealousy big time. 3. 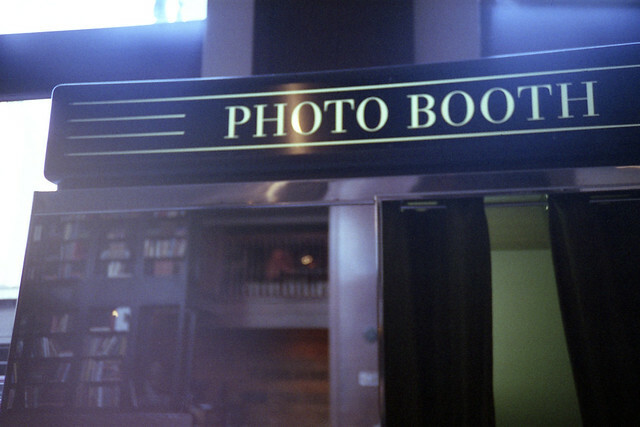 Your lomo photos make me SO sad that mine is effed up. Though someone mentioned to me that maybe my battery is dead! But I'm too scared to test another roll out! Gorgeous pictures as always. And the Volkswaffle sounds like the BEST IDEA EVER. Glad you loved your visit to Portland! It's a great city to live in, especially this time of year with the beautiful colors happening all around! Hey Anabela! Beautiful photos! 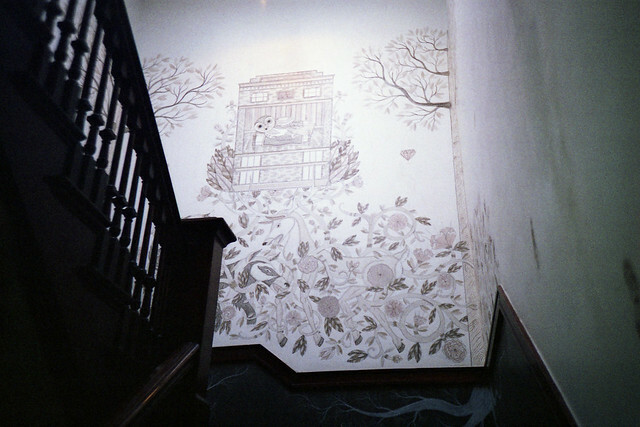 That mural at the Ace Hotel is actually by my friend, Evan B. Harris! He is pretty amazing. Lovely photos, as always. I really need to get a film camera already! 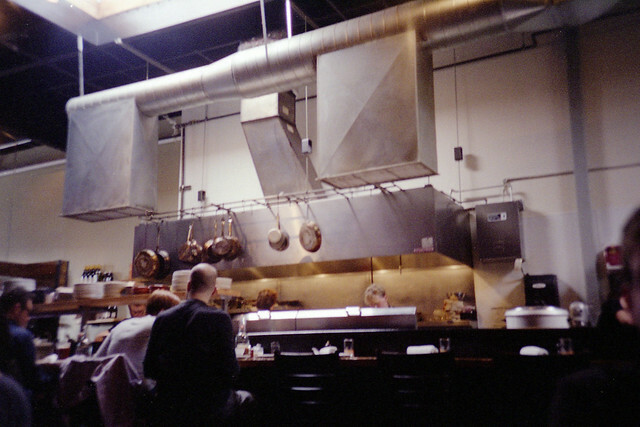 Another restaurant in Portland with an open kitchen was Le Pigeon. They also have communal seating which makes everything feel even cozier. We ended up sitting next to chefs from another Portland restaurant (Beast) and they suggested some nice places for us to eat at back home. The giant card file! Yay! I love this post, so gorgeous! I wish I could have a little house inside your cameras so I could live in a universe that looks like this!! 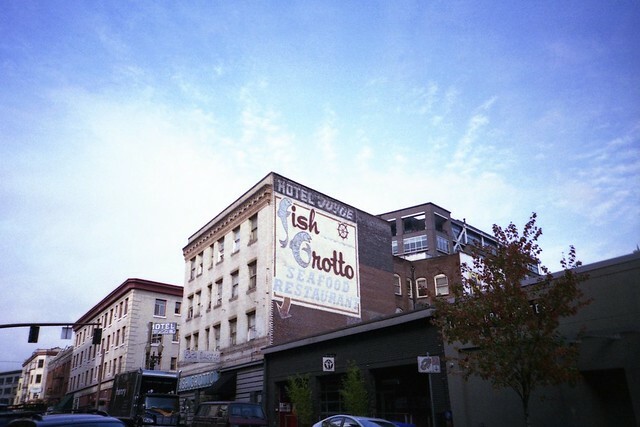 All of this really makes me want to go to Portland! amazing photos here : so gorgeous that poem on the wall what a beautiful inspiring idea and the cats :) so cute and the photo with the rose (my favorite). 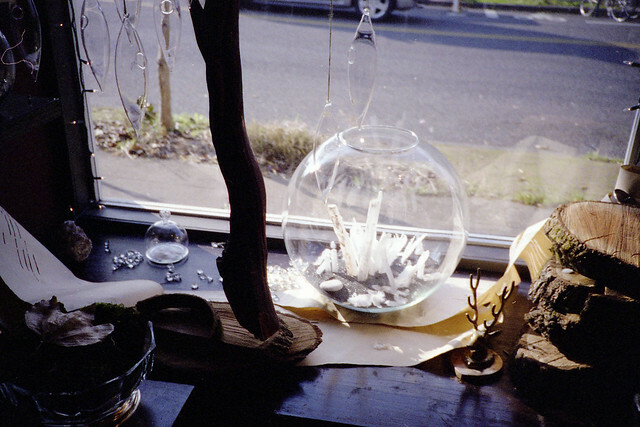 These photos are *so* beautiful - I've really enjoyed your Portland recap! It definitely inspired me to start planning a trip out there, and to (finally!) test out some of my film cameras. oh, when we went to clyde commons I think I enjoyed it just about as much as it sounds like you did. So good! love your field guided display too. Warby Parker is amazing. I just received my first pair today. I may not go back to wearing my contact lenses. Your Portland pictures are just lovely. Lovely post. You captured so many charming spaces. I especially love the mural on the wall at The Ace Hotel. Parabéns, muito criativo seu blog! 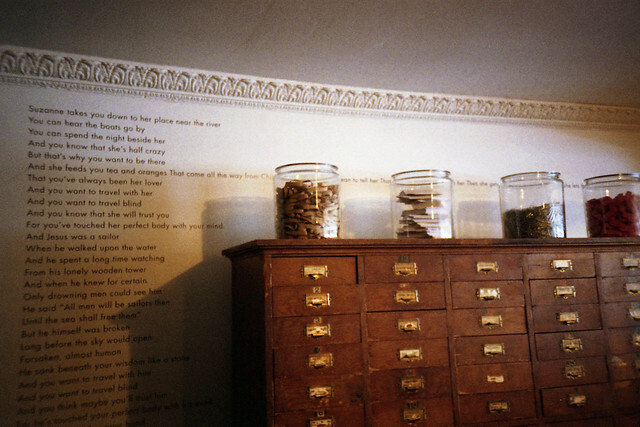 Glass jars and tiny wooden drawers and Leonard Cohen lyrics on the wall! My dream place! I hope to visit Portland one day, newly inspired by your photos, and will have to make sure to stay at the Ace Hotel! such a lovely display. glad to see portland through your eyes! I do miss Portland! Beautiful photos you have got there, Anabela! 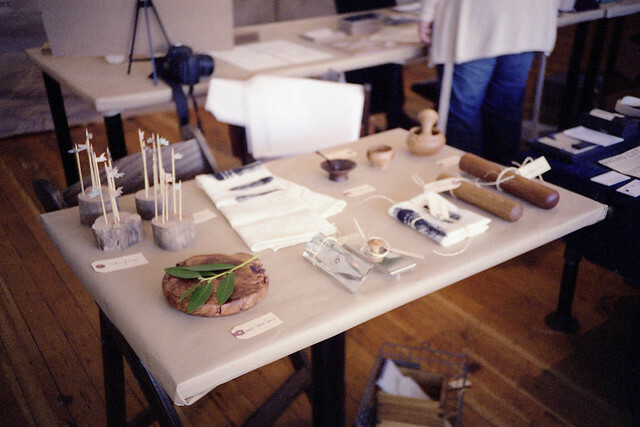 I'm gulping down your archives, so great to discover a beautiful new blog!